You’ve spent the summer relaxing in your own personal paradise, enjoying the outdoor pool you installed and the landscaping you perfectly manicured. Now that the temperature is dropping, you are restricted to looking longingly through the window, waiting for summer when you can enjoy it again. Instead of wishing for winter to rush by, enjoy all the moments and install a personal spa instead. Spas are referred to as hot tubs for a reason; enjoying the 100+ degree water while the air temperature is as frosty as your beer is reminiscent of taking a soak in your bathtub. But instead of being confined to your bathroom, staring at the tile walls alone, spas allow you to enjoy your friends and backyard wonderland. A spa makes the perfect full family gift for the holidays. It may not fit beneath the Christmas tree, but the whole family can enjoy your custom hot tub! Taking a soak, together, in the hot tub allows for family bonding time without the distraction of technology. Imagine you and your loved one enjoying the warmth of the spa in the cool winter evening, enjoying the silence under the stars. When holiday guests visit, a hot tub is a great way to get them outside when it is cold. Unwinding in spas are great for your health. The warm water is great for relieving aches and pains and relaxing tight muscles. If you suffer from arthritis or chronic pain, relaxing in your hot tub is not only? It is also a great way to reduce stress, which can help prevent serious medical conditions such as high blood pressure, stroke, or heart attack. The steam from the hot water helps to clear your sinuses by acting as a humidifier, allowing you to breathe easier and sleep better. When your entire body is submerged in a hot water spa, it dramatically improves circulation, which helps lower blood pressure and promotes younger, healthier looking skin. 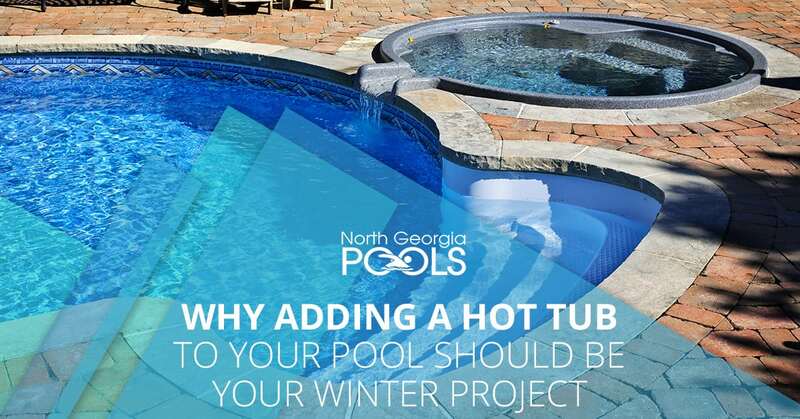 Although your hot tub will be thoroughly enjoyed in the cold months and serves as a great backyard pool alternative until summer, your spa is ideal for all seasons. In the spring when the temperature begins to rise but isn’t quite pool weather yet, your hot tub is a great interim water source. In the summertime, it may be too hot to use your spa in the hottest parts of the day but is nice in the evening. The best part about personal spas is they don’t have to be winterized or “put away” for the winter; they are a great year-round investment! 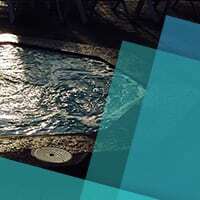 North Georgia Pools, your trusted source for all things pools, is also your go-to for personal spas. Standalone in-ground and above-ground options are available, as well as add-ons to your existing backyard pool. Check out which option fits your needs and have it installed before winter makes its grand entrance. Looking for a quote on your project or have a question? Let us know how we can help you! Website & Marketing by Pool Builder Lead Rocket.